The "Night of the Synagogues" in Krakow last weekend -- June 4 -- was the last stop in my Hungary-Poland trip; I had spent the week in and around Sanok, in the far southeastern tip of the country, and I was torn between going on to Krakow for the synagogue night or returning to Budapest. On the Night of the Synagogues, all seven of the historic synagogues in Kazimierz were open to the public from 10:30 p.m. until 2 a.m. And each one hosted cultural or educational programming. The event was sponsored by the Krakow Jewish Community Center, the Joint Distribution Committee and the Jewish communal organization. The night was a resounding success, and I feel privileged to have been there. More than 5000 people (maybe many more, as organizers had a hard time counting) made the rounds and visited the synagogues -- there were huge bottlenecks at doorways and a constant flow of people. The evening kicked off with an open-air Havadalah ceremony in the JCC courtyard, led by Krakow Rabbi Boas Pash, JCC director Jonathan Ornstein and the JDC's Karina Sokolowska from the JCC annex roof. Then, the crowds dispersed into the district -- a district that has many crowded bars, restaurants and cafes that remain open into the wee hours. I managed to get to all seven of the synagogues -- but I forgot that the Galicia Jewish Museum was also open, so I didn't make it there. 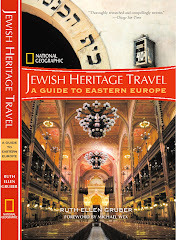 There are only a few hundred Jews living in Krakow, and the vast majority of synagogue-visitors were non-Jewish local Poles. There was a long line to get into the gothic Old Synagogue, which has been a Jewish museum for the past half century. Here, a DJ playing an eclectic mix of Jewishy rock and other music was ensconced under the wrought iron grill of the Bimah while visitors looked at an exhibit on Krakow synagogues and other Jewish buildings that no longer serve their original function. There were panel discussions in the Kupa synagogue on the role of women in Judaism and young people in today's Jewish experience in Poland -- every seat in the audience was full. The Popper Synagogue, now a culture center, hosted an arts workshop. And an Israeli rock band gave a (loud) concert in the Tempel -- the ornate 19th century synagogue that was restored in the 1990s thanks in part to the World Monuments Fund. The 16th century Remuh synagogue -- still the main Jewish place of worship in Krakow -- was also more or less standing room only. Here, Rabbi Pash gave a series of talks on the ABC's of Judaism. People had to sign up, as the space was limitied -- and I was told that ten times the number expected tried to attend. The overflow stood in the women's section, which originally was to have been closed. There was also an exhibit in the High Synagogue -- and a multi-media presentation projected on the ceiling. 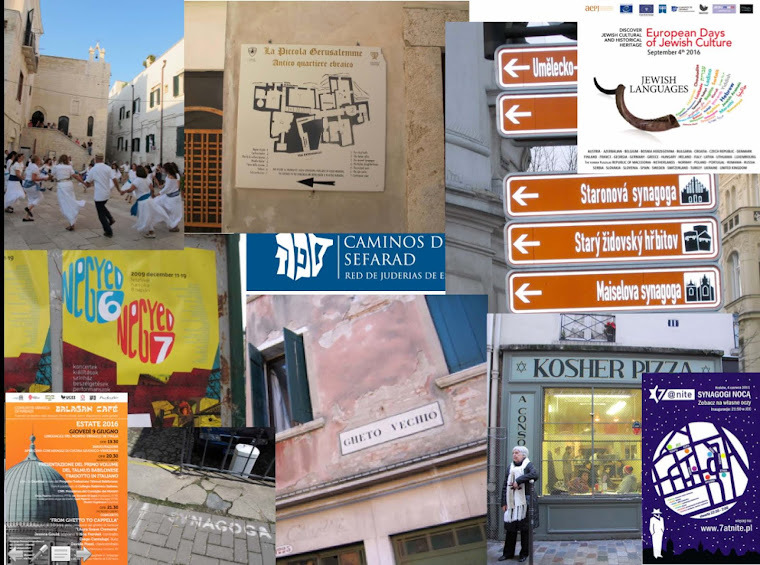 It focused on contemporary Jewish life in Poland, highlighting the reborn and reemerging community, and particularly the young people who in Krakow have gravitated to the JCC and its activities. All in all it was a terrific event -- and very gratifying to someone like me who remembers the bad old days! Mazel tov to those who planned it and took part! What a terrific evening it must have been! It is wonderful to that the years of so many people's work bear fruit, and that so many pieces of Jewish heritage mosaic are seen to fit together. Congratulations to all the sponsors, volunteers and participants.